Seawall Apartments are unique heritage listed apartments, located on the traffic free South Esplanade, right on the beach at Glenelg. 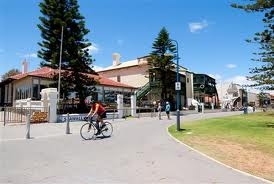 We are just 500m from Jetty Road with its many restaurants, specialty shops and the Glenelg Tram to the city. We have a range of apartments to suit everyones needs; from studio apartments for a couple, to enormous 3 bedroom seafront apartments accommodating up to 8 people. 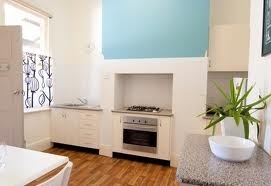 All apartments have a large 2 person spa bath and fully equipped kitchens. We provide all bedding and quality linen for your stay and all apartments are air conditioned with big flat screen TVs, DVD player and ipod docking stations. We have FREE WIFI internet access in all of the apartments. Our off street car parking is FREE to our guests. 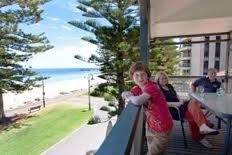 Seawall Apartments has several spacious, open decked areas with shady seating and BBQ’s. This is just the spot to watch the sunset over the ocean or take in a little dolphin spotting. Its the perfect place to soak up the view and enjoy the sea breeze. Seawall Apartment are in an unbeatable location. The Airport, Harbor Town and Ikea are less than 15 minutes away. We are also handy to the new State Aquatic center at Marion and the Westfield Marion shopping center. 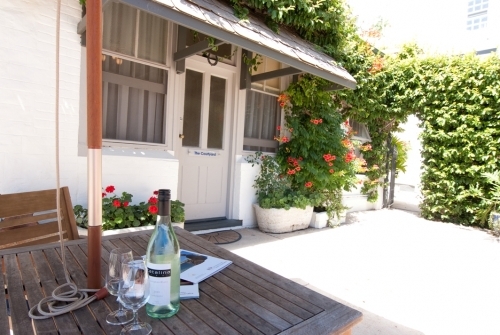 Glenelg is an ideal place to base yourself for winery tours to the Barossa or Clare Valley, McLaren Vale or the Adelaide Hills. 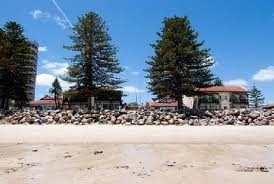 Glenelg is a delightful place to holiday - the seaside shopping and dining options are plentiful. Seawall Apartments maintains a strict no-noise policy and unauthorized parties, group gatherings and functions are strictly prohibited. Breach of this policy will result in the offending guests being required to leave the premises with no refund. Smoking is not permitted indoors. 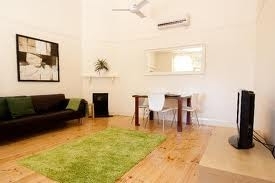 Should smoking occur within our accommodation a minimum charge of AUD$200 will be applied.